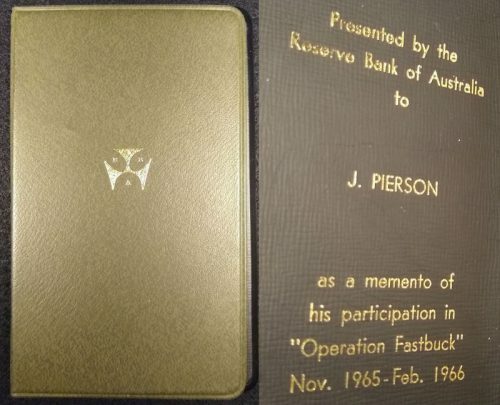 Australian decimal changeover 1966 Operation Fastbuck wallet, one of just 70 coin sets issued by the RBA. 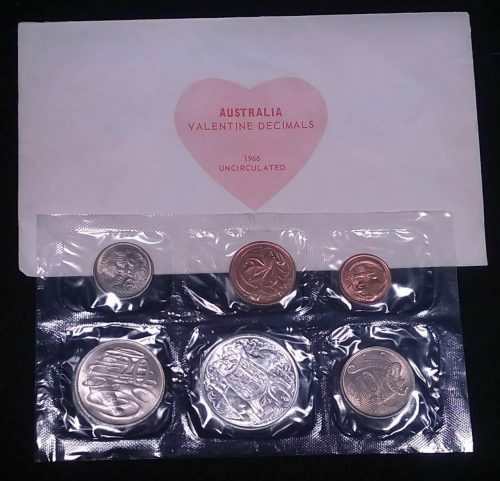 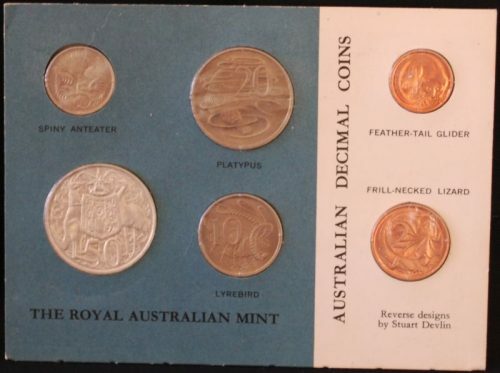 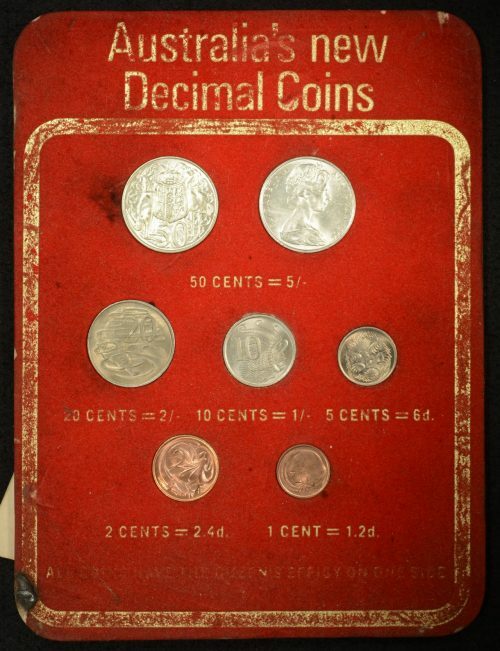 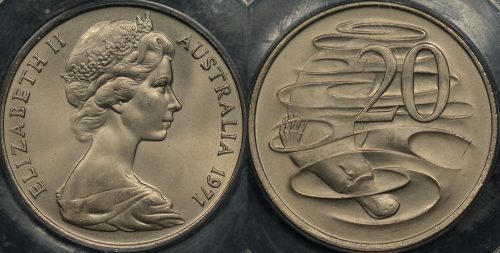 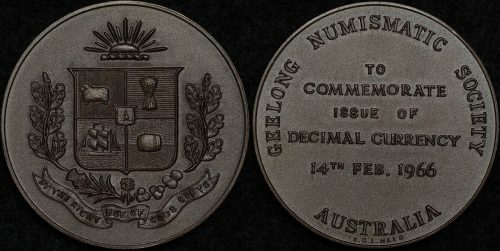 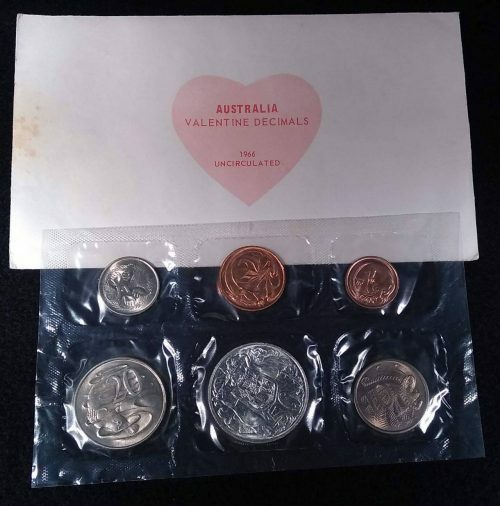 February 14th 1966 saw end of the pre-decimal era and the introduction of Australian decimal coins. 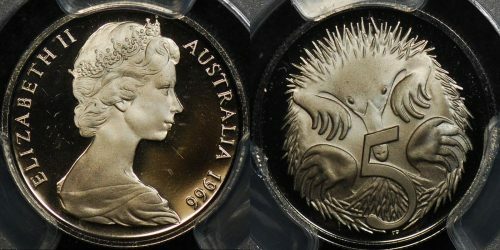 That first year saw a 1c, 2c, 5c, 10c, and 20c introduced along with a round 80% silver 50 cent. 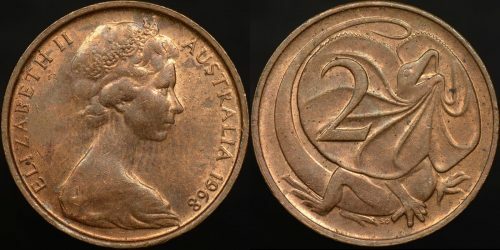 The 50 cent was replaced with a dodecagonal cupro-nickel coin in 1969, while the 1 cent and 2 cent coins were withdrawn in 1991. 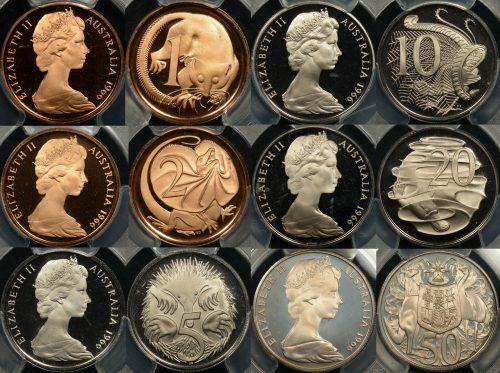 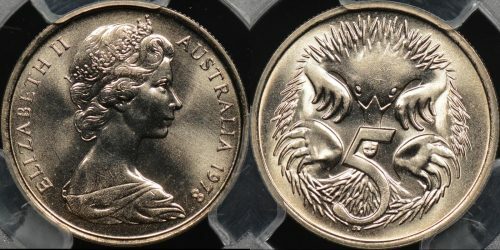 There are many key coins in the series of Australian decimal coins that are valuable and should be graded as a matter of course by a reputable company such as PCGS. 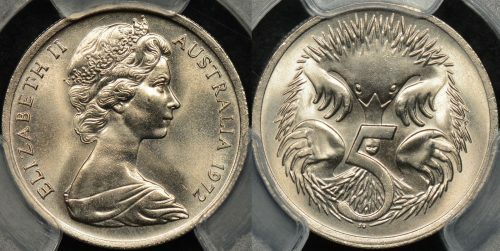 This includes such coins as the 1966 Wavy 20c, the 1981 3.5 claw 20c, the 2000 Incuse Millennium 50c, and the 2000 $1/10c mule. 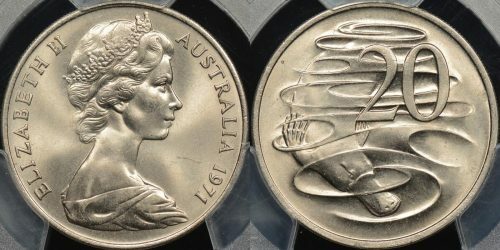 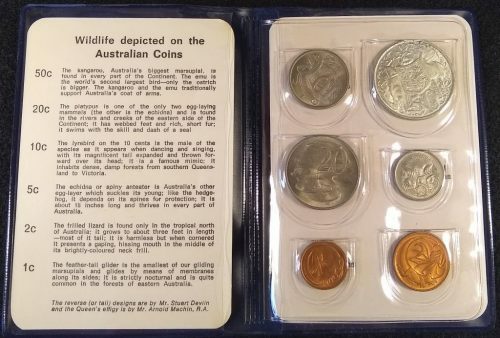 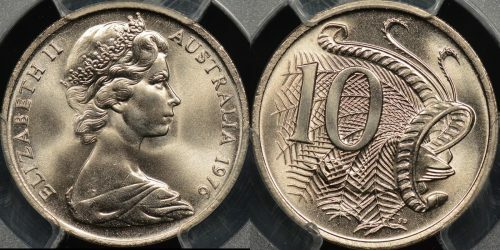 If you’re not collecting unusual Australian decimal coins such as these but just want the best available (perhaps you’re playing the PCGS Registry Set game) then PCGS graded decimal coins are the only way to go. 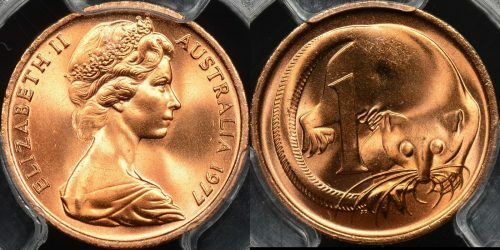 Others can collect PCGS graded decimal coins in lower grades looking for genuine uncleaned pristine coins. 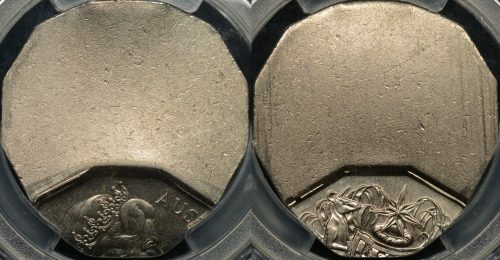 Doing this it’s sometimes possible to purchase high quality graded decimal coins for less than the actual grading cost!